Dr. Hillary Steinhart is a Professor of Medicine in the Department of Medicine at the University of Toronto and holds a faculty appointment at the Institute of Health Policy, Management and Evaluation at the University of Toronto. 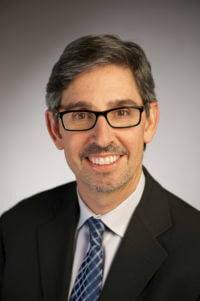 From 2000 to 2015 he was Head of the Combined Division of Gastroenterology at Mount Sinai Hospital and University Health Network in Toronto and is presently the Medical Lead of the Inflammatory Bowel Disease Centre of Excellence at Mount Sinai Hospital..
Dr. Steinhart received his MD from the University of Toronto’s Faculty of Medicine and his MSc in Clinical Epidemiology from the University of Toronto. Dr. Steinhart’s research interests include the evaluation of new therapeutic strategies for the treatment of inflammatory bowel disease, meta-analysis and clinical trials methodology, disease severity evaluation, complications of inflammatory bowel disease and phenotype-genotype interactions in inflammatory bowel disease. He has published over 120 research papers as well as two books on Inflammatory Bowel Disease for patients and families. Dr. Steinhart is a past chair of the Crohn’s and Colitis Foundation of Canada’s Scientific and Medical Advisory Committee and is Associate Editor for the journal Inflammatory Bowel Diseases.